But before we start I will tell you something about myself… why would you take all this equipment from me? 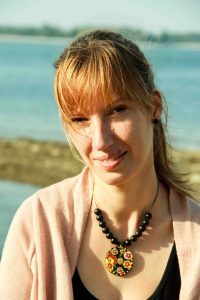 My name is Ania, I am a psychologist, therapist and hypnotherapist. For the last 3 years I have lived in the United Kingdom and here I stumbled upon hypnotherapy and expanded my therapeutic skills. I think that it was supposed to be – lets call it destiny, but at first I did not think so… When I decided to stay in England and realised that all my Polish qualifications would not be accepted that easily and it will be long time to gain them once again, all my energy and enthusiasm disappeared. However fate set me on the road to a wonderful and supportive man (who is my husband now) and to… hypnotherapy! For the latter I had a rather sceptical attitude but as I like trying new things I said YES and realised that I was already using this technique as visualisation and self-hypnosis. During this time my attitude to hypnotherapy changed and hypnotherapy changed my perception of reality. Hypnoanalisis and imagery work with the inner child has shown me a new dimension to my life, which I did not see before. Since always I was interested in the meaning of our actions and presence on this planet and since I can remember I was craving stories and warm tales, to sooth my soul, opening the door to the world of fantasy where anything is possible… the real life stories of people, because behind every human story there is a wisdom, values and a universal dimension of our existence. That is how I discovered another person, in how they create stories about themselves and how this story influences their lives. That is how I discovered my way through the fascinating world of human stories. I absorbed them everywhere even from literature read during my studies of Polish literature and language. When I came across hypnotherapy I discovered another level, our subconscious mind, where we create parallel stories, sometimes completely different than the ones according to which we live our everyday life. I believe in the power of our imagination, where we dream and make plans which are the seeds to their realisation. In our imagination we create every element of our day and convert it to reality. In our imagination we can find our inner firewood, and we can warm our hearts and give love to this hurt and maybe neglected part in us. In our imagination we can make the recovery process of our body as well as our emotions. Just with the skillful use of your imagination you will be enabled to design your life as you want it! •Psychology (MSc), University of Psychology and Social Sciences, Warsaw. •The basics of counselling and crisis intervention, Health Institute of Polish Psychological Society, Warsaw. •Hypnotherapy and Counselling, Chrysalis, England (currently during the counselling training). IMR & Regression, Inner Child, Hampshire School of Hypnotherapy. Hypno-Gastric Band, Hampshire School of Hypnotherapy. Treating Intrusive Thoughts and The Inner Critical Voice, Mind Body Breakthrough. Prevention and therapy of behavioural addictions, Etoh Foundation, Warsaw. and a series of trainings in the Suddenly Alone Foundation and Farleigh Hospice regarding the therapeutic process of bereavement.